With nostalgic charm from the 1940s, Vintage Love Headband is a crystal sensation. 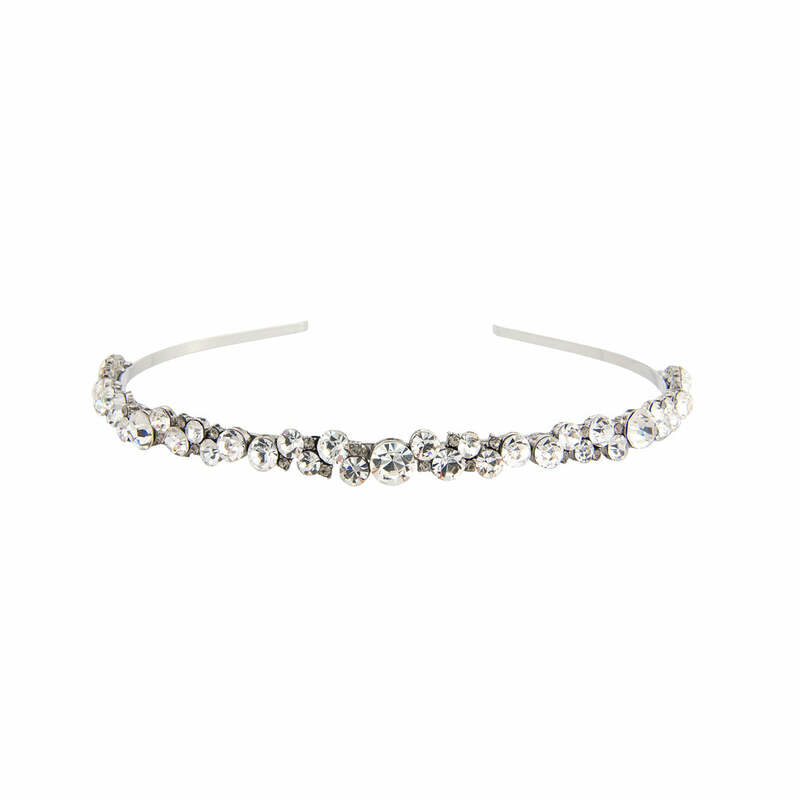 Our beautiful Vintage Love Headband combines simplicity with nostalgic charm. An abundance of sparkling clear and shimmering smoky Austrian crystals of various sizes adorn an antique silver tone band to create a 'piece' which could easily be mistaken for a precious heirloom. 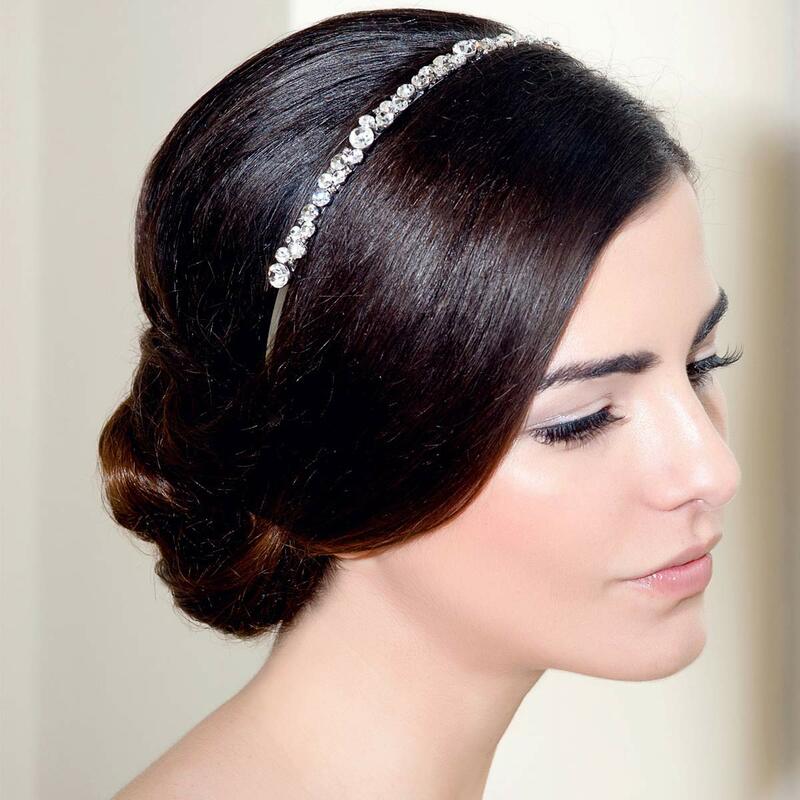 An exquisite wedding head band for brides who adore understated vintage style, this divine headpiece dresses all hairstyles and lengths with timeless class. From an elegant up-do and long loose curls to a chic crop and classic bob, Vintage Love bejewels with subtle sparkle and looks sensational coordinated with smoky wedding earrings and an antique style cuff. Wonderful wedding head band! I wanted something sparkly but simple and this was it!! I wore it with the vintage love earrings and looked perfect! Thank you!